In the last few years, manufacturers across all industries have become increasingly aware of digital manufacturing technologies and the impact they are having on production. Whilst some are embracing on-site and cloud-based ERP (Enterprise Resource Planning) suites, others are merely researching the technologies and how they could benefit trade in the future. At a time of such digital sophistication, why aren’t more businesses placing their trust in the cloud? Manufacturing Operations/Management (MOM) provides a method of overseeing an end-to-end manufacturing process with the aim of optimising efficiency. MOM software has ordinarily been used for on-site systems but is expected to develop into cloud-based operation very soon; one would expect no less in the current technological climate! Numerous manufacturers reportedly own local ERP suites, with many more thought to be planning them. More information about Food and Drink good manufacturing practice can be found on the HSE’s website. ERP suites allow those in the Food Manufacturing industry to improve inventory accuracy, cost management, efficiency and profitability. This gives them more control over the quality of products, the traceability of stock and a better overall view of their business. Why aren’t businesses across the board using cloud-based intelligence? Figures suggest budget is a big factor. In a 2016 study, more than 4,000 manufacturing professionals were asked about ERP. Respondents included small and large businesses from across the world representing various industries. The study revealed that 25 per cent of manufacturers didn’t anticipate investing in cloud-based technologies in the foreseeable future. Meanwhile, 29 per cent expressed an interest in adopting the new technologies but were still working on raising enough money to do so. 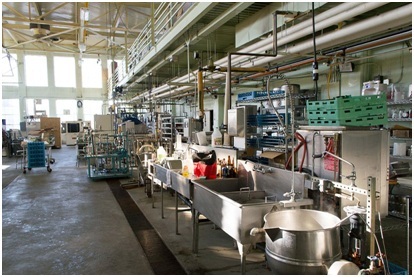 Companies such as Clarke Fussells (http://www.clarke-fussells.co.uk/) provide a range of services to the Food Manufacturing industry. Used food machinery could be a viable option for those struggling to fund new systems. Among those looking to adopt an ERP suite, 25 per cent confirmed that they are looking at a public cloud hosted by the software vendor, 30 per cent are considering a private cloud, and 11 per cent prefer a public cloud hosted by a third party. With opportunities to maximise efficiency and minimise costs, placing your trust in the cloud could be worth every penny.